Tai'an DaiFeng Pipeline Engineering Co., Ltd, which was established in 2003, is a professional pipeline construction company owned by Taishan Construction Machinery Co. Ltd. This company abides by the core ideas of Quality First, Reputation First and Dedicated to all the Customers, sticks to the brand value of Integrity Cast Monument, studies hard for the advanced experience, bravely innovates the construction technology and injects new vitality into the company development. This company has the construction qualifications of petrochemical engineering, pipeline directional drilling crossing engineering (non-excavation), municipal engineering public works, constructional engineering, waterproof antiseptic insulation works, special engineering and construction labor. 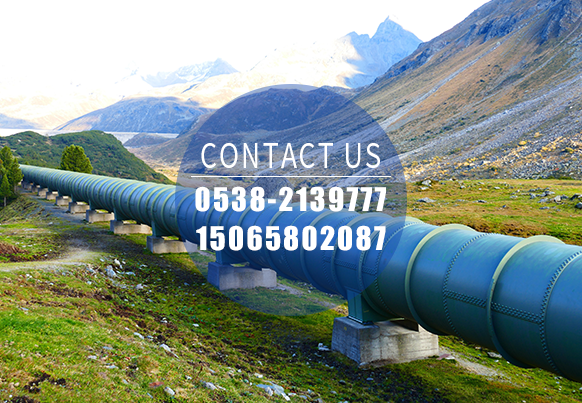 Pressure pipeline installation license qualification has been obtained (long-distance pipeline GA1 B grade, public pipeline GB1 and gas pipeline GC2 grade). Moreover, ISO9001, ISO14001 and OHS18001 system certification qualifications have been obtained.This company is the secondary subcontractor of CNPC (China National Petroleum Corporation) and had already gained the Market Admittance qualification of China Petroleum Pipeline Bureau, and been the member of Market Resource Library of SINOPEC Engineering, "Market Admittance Qualification of CNPC Chuanqing Drilling Engineering Co. Ltd, Contract Subject Qualification of Liaohe Petroleum Exploration Bureau, etc. There are 206 employees in this company, including 57 professional skilled personnel, 19 personnel with senior professional titles, 38 personnel with intermediate grade professional titles, 15 personnel with senior technician (including senior machinery technician), and 75% of the personnel has college degree or higher. This company has many kinds of trenchless professional complete sets of equipments, for example, DDW6000 DDW5000 XZ2860Plus DDW3000 DD330 DDW1200 DDW900 DDW600 and 2000T/time hammer tamping tubeand, 500T pulley block for pipe rammer units of project rescue equipments, and there are also equipped with pipelayer, mobile power station, semi-automatic electric welder, antiseptic equipment, pressure testing and cleaning sets of advanced construction equipment, meanwhile, provided with long-distance pipelines, city pipe network and the valve chest and station installation . Over the last 13 years, the total length of long-distance pipeline installed and drilled by this company is about 600 kilometers, and had a hand in the national major construction projects such as the Yangtse River, Yellow River, and other large, middle and small river crossing engineering, the second-line of West-East Natural Gas Transmission Project, Shanxi-Beijing second and third line project, Sichuan-East Natural Gas Transmission Project and other key projects of national. This company accomplished the remarkable pipeline installation project that is favorable to the people of Xinjiang, and Shanghai Baosteel gas transmission project. This company is a highly qualified construction team with a rich construction experience and superb technical qualification.